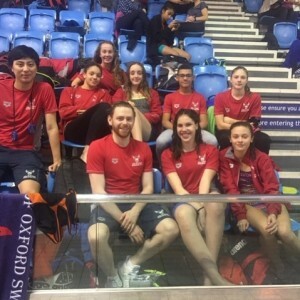 During the weekend of 3rd - 4th November a team of swimmers from City of Oxford Swimming Club competed in Cardiff at the annual Welsh Capital event. 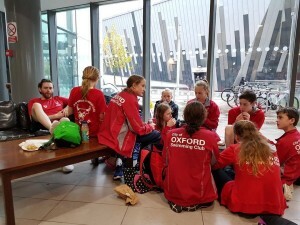 With over 30 clubs competing from Wales and the south and south-west of England the competition was stiff however Oxford swam strongly to retain the award as top visiting club. 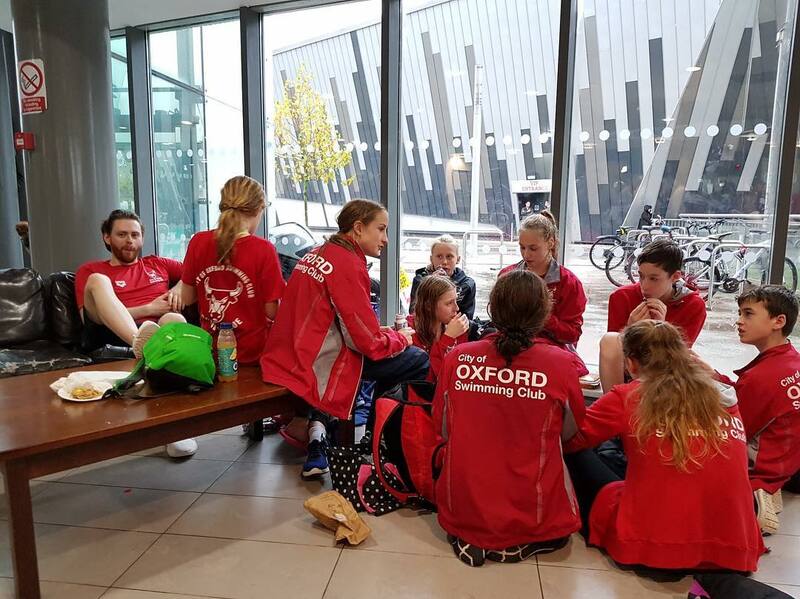 Oxford’s swimmers ranged in age from 10 to 15 years old and a total of 19 Oxford swimmers achieved top three finishes. For the girls top medal winner was Evie McLean (aged 14) with two golds (200m free 100m free) two silvers (50 m fly 50 m free) and three bronze (100m breast 50m breast 20m individual medley). Other multiple medal winning girls included Ellen Bagley (aged 12) with four golds (50m breast 100m breast 200m breast 400m free), Zofia Conway (aged 10) with three golds (50m breast 100m breast 200m breast) and one bronze (100m fly), Maddie Powell (aged 15) one gold (400m free) a silver (400m individual medley) and bronze (200m individual medley) and Lily Bradley (aged 12) two silvers (100m fly 200m individual medley) three bronze (50m free 100m breast 200m breast). For the boys top performances were displayed by Chris Sims (aged 15) with one gold (100m breast) a silver (200m individual medley) three bronze (100m breast 200m back 100m back) and Kayden Sillah (aged 12) gold (200m breast) and two bronze (50m breast 100m breast). Oxford’s other medal winners were Logan Bryan, Daria Budris, Jamie Conway, Freddie Cooke, Ayanna Fulga, Lachlan Middleton, Lara Mills, Charles Pauling, Monty Salmon, Faaris Sharif, Rebekka Smit and Morgan Smith.